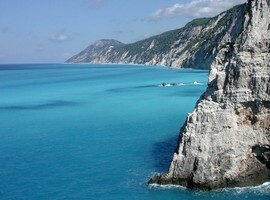 Lefkada, the “Emerald Isle” is a beautiful island in the Ionian Sea and is situated between Corfu and Kefalonia. 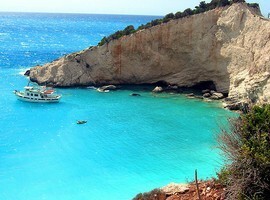 It is the fourth largest of the Ionian Islands. 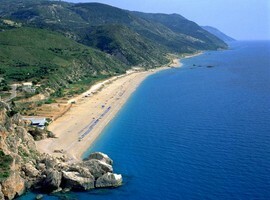 The island lies near the coast of Acarnania in western Greece. 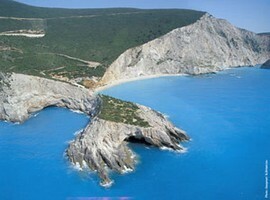 Many historians such as Thucydides and Strabo mention it in their writings not as an island but as a peninsula. 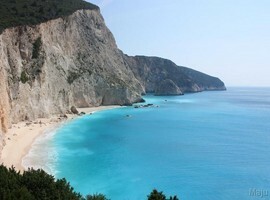 Around the island of Lefkada there are 20 other smaller islands such as Meganisi (sailors’ island), Kalamos, Kastos, Madouri, Scorpion, Sparta, Kythros, Thileia and together they constitute the prefecture of Lefkada. 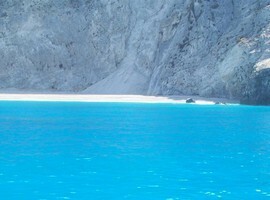 The island got its name from the white cliffs located at its southernmost tip which are white. 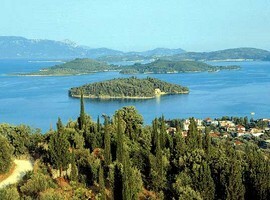 The island is green and combines mountain and sea. To the north of the island lies the lagoon is an important wetland habitat for many bird species. Inside the lagoon there are traditional fisheries. 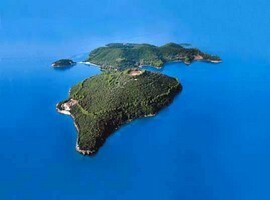 The traces of human life on the island start from the Neolithic era. The historical sources indicate the Lefkadians took part in the naval battle of Salamis, the battle of Plataea, the Peloponnesian war, the campaign of Alexander the Great and the war against the Romans in the 3rd Century BC century. 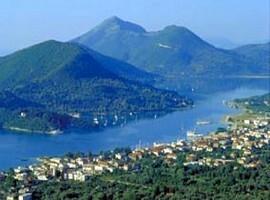 The town of Lefkada is the island’s capital. Here is an interesting archaeological museum and many churches as well. The Venetian church of Christ Pantokrator dates from the 17th century. 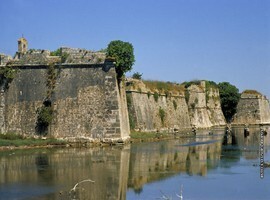 The castle of Santa Maura dates from the 14th century but has been renovated several times since then. Originally built by rulers of Sicily, and was used to protect the old city. Windsurfing and water sports are two important things to do here, but the island is also very nice to explore on your own. 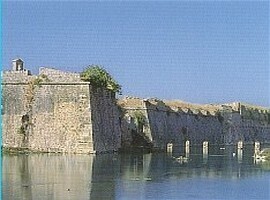 There are regular events held at the Castle of Santa Maura, and you can go on many trips to neighboring islands. 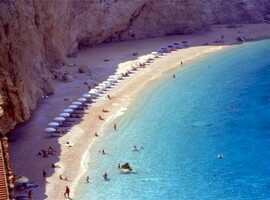 The fans of wind-surfing can enjoy the strong winds at the beaches of Vassiliki at the south and Gyra at the north. 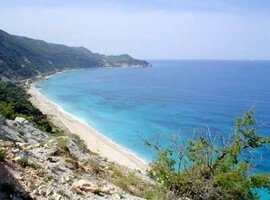 The slope of the mountain above the Kathisma area is an ideal starting point for lovers of paragliding. 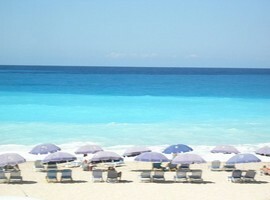 At the cosmopolitan Nidri all sports are available for the sea and the sky such as water-skiing, jet-skiing, and canoeing. The mountainous Lefkada with the beautiful gorges, lush vegetation, rare flowers and scenic trails is ideal for hiking and excursions. 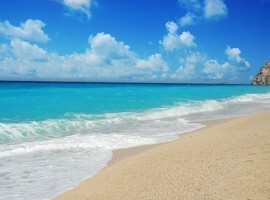 There are many beaches with sand and pebbles. 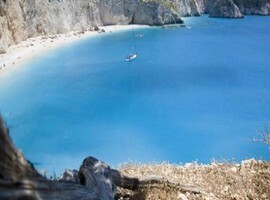 On the beaches around Nidri you will find many restaurants and water sports, but there are several quieter beaches in Lagada and bonding. 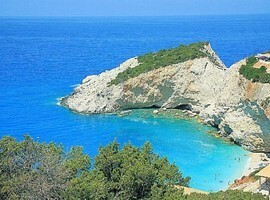 The beaches of Lefkada have been voted as the best in the Mediterranean Sea. 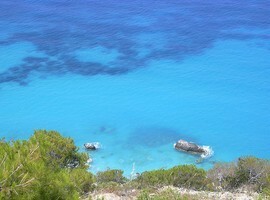 Porto Katsiki with turquoise waters is considered among the best beaches in the island. 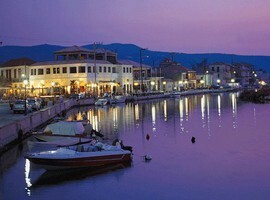 Most bars and discos in Lefkada are in Nidri, which is a paradise for people who really want to have fun and stay up late. 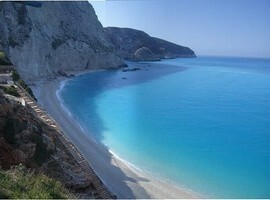 Also at the town of Lefkada you have many choices. If you want a quieter area, Nikiana the Perigiali might suit you best. 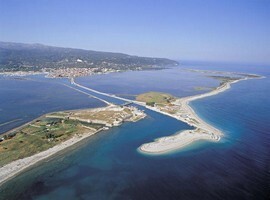 Lefkada is the only island which can be visited by car without ferry boats by using the floating bridge that connects it to the Mainland. 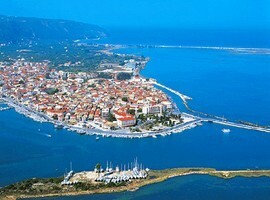 The underwater tunnel of Preveza-Aktion creates an easy access to the island from northwest Greece and the port of Igoumenitsa (100 km), which is a major gateway for Western and Central Europe. There are buses, ferries and taxis to take you to beaches and elsewhere, but if you really want to explore the island should definitely rent a car or motorbike.